While Apple’s iBeacon technology is already being adopted by both large and small retailers, we’ve started to see other use cases pop up for this new indoor positioning technology, which involves Bluetooth LE-enabled transmitters that can communicate with nearby iOS 7 devices in order to push alerts, or even interact with other devices in your home. 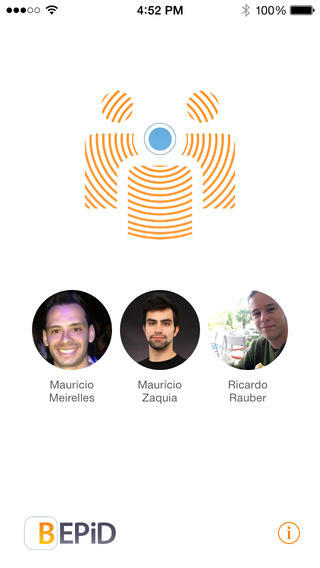 Now a small team of developers based in Brazil have come up with a new angle for iBeacon: taking attendance in the classroom. Their new application called BeHere, first spotted by Apple blog 9 to 5 Mac, turns a teacher’s iPad into an iBeacon that automatically identifies students as they enter the classroom with their iPhone, iPad, or iPod touch application also running the same BeHere app. Students’ profiles can also be connected to Facebook, allowing BeHere to include a profile picture, too. Plus, students can use the app after class starts to ask for the teacher’s help by just pushing a button on their phone. The teacher then sees those requests in a queue, and can respond as needed. BeHere, now making its official debut, was created by a company called Beelieve, which includes developers Ricardo Rauber, Maurício Meirelles, Maurício T. Zaquia, and Ricardo Rauber Pereira. Together, the team has self-funded their applications by doing client work, which lets them build their own projects, like this game designer iPad app called Game Coder. That app is currently on hold while they focus on BeHere, however. Rauber also tells us they’ve been working on the BeHere application itself since the release of the iOS 7 SDK. The company is currently testing the app at various colleges, where it has nearly 400 users, up from just 17 initially (teachers and students combined). Though only a simple application with minimal flourishes, the team has come up with an interesting idea which again showcases the broad potential for iBeacon outside the retail environment. While this particular app may not win the race when it comes to iBeacon in the classroom, it’s definitely a thought-provoking experiment. Now the next challenge is to figure out how to prevent students from carrying their friends’ phones into class so they can skip class that day. Or, hey, maybe that won’t be an issue, since who would want to be without their iPhone? The new BeHere application is a free download here on iTunes.